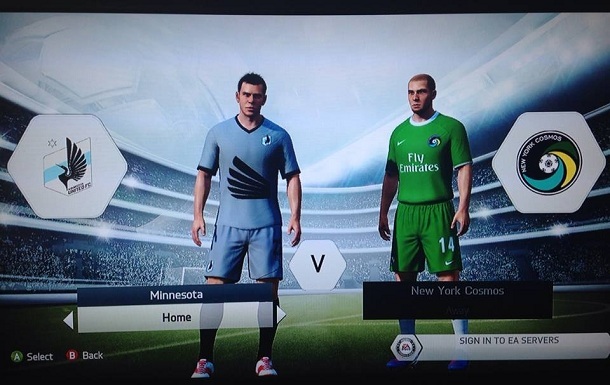 An enterprising soccer fan has recreated the 2013 North American Soccer League season for the FIFA 14 video game. On Minnesota United's The Field of Play blog, Alex Schieferdecker writes: "Through FIFA, people all over the US have become familiar with teams in Europe and around the world that they otherwise would never have come into contact with. To match the level of involvement of fans all around the world, the series itself has become endlessly flexible. Player stats and statuses can be updated to match real world conditions. And new player created content can always be added." That's what happened here, with United and the rest of the NASL created for the current edition of the video game for the Xbox and PS3. For the how-to (as well as a local soccer blog worth bookmarking), go here. And may you have more success in HD than United had on the pitch this season.